Mold in your home can cause serious health problems for your family—in extreme cases, it can even be life threatening. Unfortunately, sometimes it’s nearly impossible to detect the mold growth on your own. That’s why you need to call the mold testing professionals at Skyline DKI for fast and accurate mold assessment services. If you or anyone in your family has been experiencing unexplained allergies, chronic headaches, dizziness, or any other unexplained health problems, call Skyline DKI for all your mold detection needs. 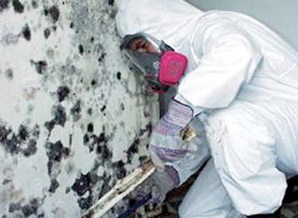 If mold is found in your home, our mold remediation team will completely eliminate the growth, so you can know that your property is completely safe and healthy once more!